God has blessed Peace In Christ with some absolutely amazing musical talents! 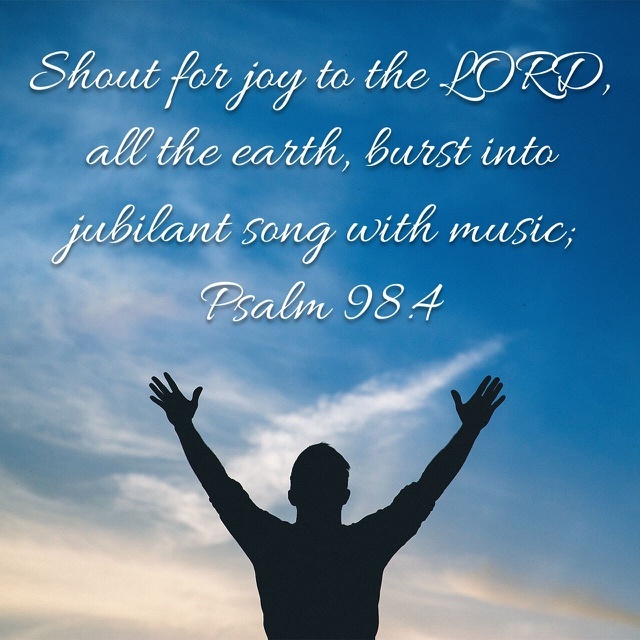 We take Psalm 98:4, "Shout for joy to the Lord, all the earth, burst into jubilant song with music" to heart! We as a congregation love to burst into jubiliant song with all kinds of music including organ, piano, flute, trumpet, cello, chimes, guitar, drumbs, tamberine, solos, duets, choirs, and more! If God has blessed you with any type of musical ability at all, please let us know and we will get you plugged in to the right place to help us praise our Lord with jubilant songs. The Adult Choir is a group of volunteer ministers of God’s word. We minister in His service and lead His people in worship. We minister intentionally. We prepare anthems focused on the lectionary and/or themes of the church year and its festival days. The choir typically rehearses 3 Wednesdays per month (Sept - May) and sings 2 Sundays per month plus special mid-week services (Thanksgiving, Christmas Eve, and Holy Week). The choir has room for expansion to fill the "loft"! If you are interested in joining the choir, please talk to Beth Esselstrom at 218-349-6076. Our Peace In Christ Praise Team enjoys playing contemporary music throughout the year. Our goal is to draw people closer to God through music and our mission is to serve God by leading the congregation in worship music. Our band consists of several members with a broad range of musical talents and a wonderful sound tech member. We would always love to add new members. Practice times vary but we typically meet Sunday mornings at 9:30 A.M. or Sunday evenings. Do you have a musical or sound tech talent you would like to share at Peach In Christ? To learn more please call our church office. Chimes are a mellow percussion instrument that can be played by almost any age and level of music skill. The mission of the chimes choir is to enhance worship services by providing another unique sound to the variety of music used at Peace In Christ to praise our Lord. Some day, Peace In Christ hopes to have 2 chime choirs consisting of a youth choir ages 10 - 14, as well as, the already existing adult choir which goes by the name of "Peaceful Sounds." The chimes choir is always looking for more members and would gladly welcome any one who might be interested. The commitment would be to attend each practice and be available to participate in the services that chimes have agreed to play. Each part/player is vital to the success of the choir. Practices are Tuesday nights at 5:30 P.M. in the church sanctuary. They agree to play in services as often as they have pieces ready. If you are interested, please call the church office.